Shin Godzilla (シン・ゴジラ, Shin Gojira, also known as Godzilla: Resurgence) is a 2016 Japanese kaiju film featuring Godzilla, produced by Toho and Cine Bazar and distributed by Toho. It is the 31st installment in the Godzilla franchise, the 29th Godzilla film produced by Toho, and Toho's third reboot of the franchise. The film is co-directed by Hideaki Anno and Shinji Higuchi, with the screenplay by Anno and special effects by Higuchi. The film stars Hiroki Hasegawa, Yutaka Takenouchi, and Satomi Ishihara and reimagines Godzilla's origins in modern Japan. In December 2014, Toho announced plans for a new domestic Godzilla film. Anno and Higuchi were announced as the directors in March 2015. Principal photography began in September 2015 and ended in October 2015. Inspiration for the film was drawn from the Fukushima Daiichi nuclear disaster and the 2011 Tōhoku earthquake and tsunami. Shin Godzilla had its premiere at the Hotel Gracery in Shinjuku, Tokyo on July 25, 2016, and was released nationwide on July 29, 2016, in IMAX, 4DX, and MX4D. It received acclaim from Japanese critics and mixed reviews from Western critics. The film was the highest-grossing live-action Japanese film of 2016 and became the highest grossing Japanese-produced Godzilla film in the franchise. It received 11 Japan Academy Prize nominations and won seven, including Picture of the Year and Director of the Year. When the Japan Coast Guard investigates an abandoned yacht in Tokyo Bay, their boat is destroyed and the Tokyo Bay Aqua-Line is flooded. After seeing a viral video of the incident, Deputy Chief Cabinet Secretary Rando Yaguchi theorizes that it was caused by a living creature. His theory is confirmed when news reports show a massive tail emerging from the ocean. The Prime Minister assures the public that the creature is unable to come onto land due to its weight, but it moves inland via rivers and makes landfall. It moves through the Kamata district of Tokyo, leaving a path of destruction and numerous casualties. It evolves into a red-skinned form that can stand upright on its hind legs, however it begins to overheat and returns to the sea. The government officials focus on military strategy and civilian safety, while Yaguchi is put in charge of a task force to research the creature. Due to high radiation readings, the group theorizes that it is energized by nuclear fission. The U.S. sends a special envoy, Kayoco Anne Patterson, who reveals that a disgraced, vehemently anti-nuclear zoology professor, Goro Maki, had been studying mutations caused by radioactive contamination and theorized the appearance of the creature, but he is disbelieved by both American and Japanese scientific circles. The U.S. then prevented him from making his conclusions public. The abandoned yacht discovered in Tokyo Bay was Maki's, and he left his research notes, jumbled into a code, in it before disappearing. The creature, named Godzilla after Maki's research, reappears, now twice its original size, and makes landfall near Kamakura en route for Tokyo. The Japan Self-Defense Forces mobilize, but their attacks have no effect and they are forced to withdraw when Godzilla breaks through their defenses into the city. The U.S. intervenes with a massively-destructive air strike plan, prompting the evacuation of civilians and government personnel. U.S. B-2 bombers wound Godzilla with MOP "bunker-buster" bombs. Godzilla recovers quickly and responds with highly destructive atomic rays fired from its mouth and dorsal plates, which hit and destroy the helicopter carrying the top government officials, and two of the B-2s, as well as devastating and irradiating large swaths of Tokyo. Depleting its energy, Godzilla enters a dormant state and becomes immobile. Yaguchi's team discovers that Godzilla's plates and blood work as a cooling system and theorize that they could use a coagulating agent to freeze it. After analyzing tissue samples, they find that Godzilla is an ever-evolving creature, able to reproduce asexually. The United Nations, aware of this, informs Japan that thermonuclear weapons will be used against Godzilla should the Japanese fail to subdue it on their own in a few days. Evacuations are ordered in multiple prefectures in preparation for the nuclear attack. Unwilling to see nuclear weapons detonated in Japan again, Patterson uses her political connections to buy time for Yaguchi's team, who the interim government has little faith in. Yaguchi's team has a breakthrough when Goro Maki's encoded research is deciphered, adjust their plan, and procure the means to conduct their deep freeze plan with international support. Mere hours before the planned nuclear attack, Japan enacts the deep freeze plan. Godzilla is provoked into expending its atomic breath and energy against American drones. The team then detonates explosives in nearby buildings and in trains sent towards Godzilla's feet, knocking the monster down and giving tankers full of coagulant an opportunity to inject it into Godzilla's mouth. Though many are killed in the process, Godzilla is frozen solid. In the aftermath, it is discovered that the Godzilla fallout has a very short half-life and that Tokyo can soon be reconstructed. The international community agrees to cancel the nuclear attack but has the new Japanese government agree that, in the event of Godzilla's reawakening, an immediate thermonuclear strike will be executed. Godzilla's tail shows humanoid Godzilla-like creatures frozen in the process of emerging. Hiroki Hasegawa as Rando Yaguchi, Deputy Chief Cabinet Secretary. After Toho offered him the role, Hasegawa immediately accepted, stating, "Who wouldn't want to be involved in a Godzilla production?" Yutaka Takenouchi as Hideki Akasaka, Aide to Prime Minister. Takenouchi stated that the film will contain a "deeper message". Satomi Ishihara as Kayoco Anne Patterson, Special Envoy for the President of the United States. She became excited after accepting the role but stressed that her character features "English-heavy dialogue", stating, "Sometimes it's so frustrating, I just want to cry." 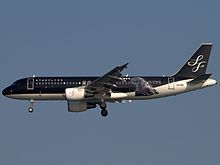 The film features several cameos and supporting appearances, including Kengo Kora, Ren Osugi, Akira Emoto, Kimiko Yo, Jun Kunimura, Mikako Ichikawa, Pierre Taki, Takumi Saito, Keisuke Koide, Arata Furuta, Sei Hiraizumi, Kenichi Yajima, Tetsu Watanabe, Ken Mitsuishi, Kyūsaku Shimada, Kanji Tsuda, Issei Takahashi, Shinya Tsukamoto, Kazuo Hara, Isshin Inudo, Akira Ogata, Shingo Tsurumi, Suzuki Matsuo, Kreva, Katsuhiko Yokomitsu, and Atsuko Maeda. 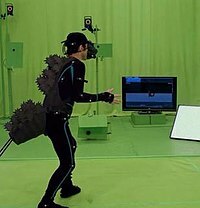 Mansai Nomura portrayed Godzilla through motion capture. Jun Kunimura previously appeared in Godzilla: Final Wars. Akira Emoto appeared in Godzilla vs. SpaceGodzilla. Whereas the original Godzilla was conceived as a metaphor for the atomic bombings of Hiroshima and Nagasaki, Shin Godzilla drew inspiration from the Fukushima Daiichi nuclear disaster and the 2011 Tōhoku earthquake and tsunami. Many critics noted similarities to those events. Mark Schilling of The Japan Times wrote that the Godzilla creature serves "as an ambulatory tsunami, earthquake and nuclear reactor, leaving radioactive contamination in his wake". Roland Kelts, the author of Japanamerica, felt that the "mobilizing blue-suited civil servants and piles of broken planks and debris quite nakedly echo scenes of the aftermath of the great Tohoku earthquake, tsunami and nuclear disaster." Matt Alt of The New Yorker drew similar parallels with "the sight of blue-jumpsuited government spokesmen convening emergency press conferences ... [and] a stunned man quietly regarding mountains of debris, something that could have been lifted straight out of television footage of the hardest-hit regions up north. Even the sight of the radioactive monster's massive tail swishing over residential streets evokes memories of the fallout sent wafting over towns and cities in the course of Fukushima Daiichi's meltdown." Robert Rath from Zam argued that Shin Godzilla is a satire of Japanese politics, and likened the protagonist Rando Yaguchi to the Fukushima plant manager Masao Yoshida. William Tsutsui, author of Godzilla on My Mind, wrote in the Arkansas Democrat-Gazette that "Shin Godzilla leaves no doubt that the greatest threat to Japan comes not from without but from within, from a geriatric, fossilized government bureaucracy unable to act decisively or to stand up resolutely to foreign pressure." In his review for Forbes, Ollie Barder wrote that the film depicted the Japanese government's "complex and corpulent bureaucratic ways ... unable to deal with a crisis in any kind of efficient or fluid way", noting that the government members use the hierarchical system to protect their positions at the expense of citizens' lives. According to Schilling, the government officials, Self-Defense Forces officers and others working to defeat Godzilla are portrayed as hardworking and intelligent, despite "some initial bumbling". Japan's Prime Minister Shinzō Abe had spoken positively of the film's pro-nationalist themes, stating, "I think that [Godzilla’s] popularity is rooted in the unwavering support that the public has for the Self-Defense Forces." Mansai Nomura portraying Godzilla through motion capture. In December 2014, Toho announced plans for a new Godzilla film targeted for a 2016 release, stating, "This is very good timing after the success of the American version this year: if not now, then when? The licensing contract we have with Legendary places no restrictions on us making domestic versions." The new film will have no ties to Legendary's MonsterVerse and instead will serve as a reboot to the Toho series. Minami Ichikawa will serve as the film's production manager and Taiji Ueda as the film's project leader. Ueda confirmed that the screenplay is in development and filming has been planned for a summer 2015 shoot. Toho will additionally put together a project team, known as "Godzilla Conference" or "Godzi-con", to formulate future projects. In March 2015, Toho announced that the film would be co-directed by Hideaki Anno and Shinji Higuchi (who both collaborated on the anime Neon Genesis Evangelion), in addition to Anno writing the screenplay and Higuchi directing the film's special effects. In addition, Toho announced that the film will begin filming in the fall of 2015 set for a summer 2016 release. Promotional artwork of the new Godzilla's footprint was also released, with Toho confirming that their new Godzilla will surpass Legendary Pictures' Godzilla as the tallest incarnation to date. Toho had approached Anno in January 2013 to direct the reboot but Anno initially declined due to falling into depression after completing Evangelion: 3.0 You Can (Not) Redo, stating, "A representative from Toho contacted me directly, saying, 'We'd like to direct a new Godzilla film.' At the time, I was still recovering from EVA 3.0, and right on the spot, flatly refused the offer, 'It's impossible. Even to begin work on the next EVA is impossible.'" However, Toho's sincerity and his longtime friend and co-director, Shinji Higuchi, eventually convinced him to accept the offer in March 2013. Anno had also refused the offer due to a lack of confidence, stating, "I refused [the offer] since I didn't have confidence that I could exceed the first film or come close to equaling it. But I thought that if I were to come close even a little, I would have to do the same thing [as the first film]." Mahiro Maeda provided the new design for Godzilla while Takayuki Takeya provided the maquette. Director Higuchi stated that he intended to provide the "most terrifying Godzilla that Japan's cutting-edge special-effects movie-making can muster." A variety of techniques such as puppets, animatronics, and digital effects were initially considered and an upper-body animatronic was produced but went unused after Toho decided to create a completely CG Godzilla, VFX Supervisor Atsuki Sato stated, "CG production had already been determined when I began participating. In the end, it was the best option to allow quick edits as creative visions changed and produced a high quality film." A colorless maquette was built for CG animators to use as a reference and render the CG Godzilla model. Mansai Nomura provided the motion capture performance for Godzilla. Principal photography began on September 1, 2015, with a large on-location film shoot at Kamata station in Tokyo under the working title "Shin Gojira". On September 23, 2015, Toho revealed the film's official title as Shin Gojira and that the film will star Hiroki Hasegawa, Yutaka Takenouchi, and Satomi Ishihara. Producer Akihiro Yamauchi stated that the title Shin Gojira was chosen for the film due to the variety of meanings it conveys, such as either "new" (新), "true" (真), or "God" (神). Yamauchi also confirmed that the film has been planned for quite some time, stating, "It's been in the works a long time. It's not like it was produced just because of the Hollywood Godzilla". Principal photography wrapped at the end of October 2015, with special effects work scheduled for November 2015. Shiro Sagisu scored the film. There are also various remixes of "Decisive Battle" from Sagisu's Neon Genesis Evangelion score. The film also includes several pieces from previous Godzilla films composed by Akira Ifukube. Anno had decided to use Ifukube's music while writing the screenplay and attempted to adapt the old Ifukube tracks to modern stereo settings but the task proved too daunting and eventually settled on using the mono mixes instead. The soundtrack was released on July 30, 2016, and sold 8,427 copies in 2 weeks. Entitled Shin Godzilla Ongakushuu, the soundtrack album sold 43,951 copies in Japan. Funimation's North American theatrical release poster. Shin Godzilla was released on July 29, 2016, in Japan in over 350 theaters and 446 screens. It had its red carpet premiere on July 25, 2016. The premiere took place in Tokyo along Kabuki-cho Central Road, with a red carpet from the Hotel Gracery Shinjuku, the hotel which has the large Godzilla head peering over, 118.5 metres in length, the same distance as the height of Godzilla. In April 2016, New World Cinemas was named one of the distributors to release the film in the United States, however, in June 2016, New World Cinemas clarified on their official Facebook that "New World Cinemas are not the distributers [sic] for the new Godzilla Film. The mistake was make [sic] because we said Godzilla coming soon. This was merely a post to promote Godzilla as we too are big fans. We apologise for any confusion regarding this film." In July 2016, Toho announced that the film had been sold to 100 territories (including Asia, Africa, Europe, and North America) in 19 days after opening to foreign sales and will be released in Taiwan on August 12, the Philippines on August 24, Hong Kong and Macao on August 25, and Thailand on September 8. 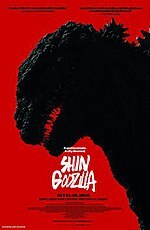 At the 2016 San Diego Comic-Con, it was announced that Funimation would distribute the film for North America, Central America, South America, and the Caribbean for a late 2016 release as Shin Godzilla, instead of Godzilla: Resurgence, at the insistence of Toho. In early September, Funimation officially announced that the film was to be given a one-week limited release in the United States and Canada from October 11–18 on 440 screens, in Japanese with English subtitles, making it the first Japanese Godzilla film to receive a theatrical North American release since Godzilla 2000. Funimation hosted two North American premieres for the film, one premiere on October 3 in Los Angeles and the other on October 5 in New York. Due to popular demand, Funimation extended the film's North American theatrical run with encore screenings for October 22 and select theaters offering daily screenings through October 27. A release for the United Kingdom was cancelled after Altitude Films, the distributor for that territory, dropped rights to the film after a showing at a FrightFest event in Glasgow on February 24. Toho did not allow any more screenings in the UK, according to a tweet made by The Electric Cinema in Birmingham, until it was revealed by the Film Distributors' Association on June 13 that National Amusements would release it in UK theaters starting July 26. However, it was later revealed that the UK rights to Shin Godzilla are held by Manga Entertainment (who once held the rights to the VHS releases of Godzilla vs. King Ghidorah and Godzilla vs. Mothra in the UK), and announced a theatrical showing of the film for August 10 across the UK. The film was then released on DVD and Blu-Ray in the UK on December 4. The Blu-Ray edition of the film ranked at no.32 on the UK Blu-Ray chart for the week ending December 16. In November 2015, without any prior announcement, Toho screened a promo reel at the American Film Market for a potential sale for overseas markets, marketing the film (for a while) as Godzilla: Resurgence. In December 2015, Toho unveiled the film's first teaser trailer and teaser poster revealing Toho's new Godzilla design and the film's July 29, 2016, release date. Chunichi Sports reported the size of the new Godzilla to be 118.5 metres (389 ft) tall, over 10 metres (33 ft) taller than Legendary's Godzilla, which is 108.2 metres (355 ft) tall. In January 2016, images of the Godzilla suit were leaked online. In late March 2016, it was announced that Toho's Godzilla and Anno's Evangelion intellectual properties will form a "maximum collaboration" for merchandise in April 2016. In mid-April 2016, Toho revealed the complete design of the new Godzilla and that it is a completely CG-generated character, as well as a new trailer, details regarding the principal and supporting characters, and that the film will be released in IMAX, 4DX, and MX4D formats for its domestic release. For summer 2016, the Namja Town amusement park held special Godzilla cross-promotion activities. The park unveiled a new virtual reality game, the food court produced kaiju-inspired food dishes, and a Godzilla foot on display as though it had crashed through the roof of the attached Sunshine City Alpa shopping center. Sports equipment manufacturer Reebok released limited-edition Godzilla sneakers featuring a black reptilian skin pattern and either red or glow-in-the-dark green coloring in Japan. In early 2017, Universal Studios Japan featured a temporary 4D Shin Godzilla attraction as part of its Universal Cool Japan 2017 program as well as the addition of music from the film to the tracklist of the Hollywood Dream – The Ride roller coaster. In Japan, Shin Godzilla was released on DVD and Blu-ray by Toho on March 22, 2017. The film's Japan home video release sold 520,000 units for the DVD version, 100,000 units for the Blu-ray Special Edition, and 55,402 units for the Blu-ray Standard Edition, totaling 675,402 DVD and Blu-ray sales in Japan. In North America, the film was released on Blu-ray, DVD and digital on August 1, 2017 by Funimation, which featured an English dub produced by Funimation. In the United States, the DVD and Blu-ray releases sold 106,553 units in three weeks and have grossed $3.4 million as of August 2018. In the United Kingdom, the film was released on DVD and Blu-ray by Manga Entertainment on December 4, 2017. This release also included the Funimation dub. In Japan Shin Godzilla earned ￥625 million (US$6.1 million) on its opening weekend and was number one at the box office for that weekend, placing Finding Dory at second place and One Piece Film: Gold at third place, and earned 23% more than 2014's Godzilla when it opened in Japan. It was more than triple the first weekend's gross of 2004's Godzilla: Final Wars, the previous Toho film in the series, which in the end grossed US$12.3 million. The film remained at number one during its second weekend and was projected to finish at US$40 million domestically. The film dropped to second place during its third weekend, topped by The Secret Life of Pets, earning US$33.5 million after 17 days, topping the estimates for both 2004's Godzilla: Final Wars and 2014's Godzilla. The film reached ￥5.3 billion (US$51.63 million) a month after its release, topping the earnings for Anno's previous film Evangelion: 3.0 You Can (Not) Redo, which earned ￥5,267,373,350. On its sixth weekend, the film climbed back to number two, topped by Your Name, with an earning of US$3.2 million, bringing the film's total domestic gross to US$60 million from 4.1 million admissions. After exiting the top ten in late September, the film has grossed nearly US$77 million from 5.6 million admissions. Shin Godzilla became the highest grossing live-action Japanese film for 2016, and the second highest grossing film in Japan for the year. In the United States and Canada, the film grossed US$1.9 million during its limited 31 day run. Outside of Japan and North America, the film was released in a handful of International markets. In Taiwan, it grossed US$264,235; in Australia it grossed US$84,090; in New Zealand it grossed US$13,892; in Thailand it grossed US$322,061; in South Korea it grossed US$36,915; and in Spain it grossed US$8,031. The film grossed US$75.4 million in Japan and US$78 million worldwide. Shin Godzilla received critical acclaim from Japanese critics and mixed reviews from Western critics. The special effects and new depiction of Godzilla were praised but the film was criticized for its long scenes, confusing dialogue, over-crowded characters and subplots. On review aggregator website Rotten Tomatoes, Shin Godzilla has an approval rating of 85% based on 65 reviews, with an average rating of 6.7/10. The site's consensus reads: "Godzilla: Resurgence offers a refreshingly low-fi – and altogether entertaining – return to the monster's classic creature-feature roots." On Metacritic, the film has a score of 67 out of 100 based on 14 critics, indicating "generally favorable reviews." Japanese pop culture site RO65 called the film a "masterpiece of unprecedented filmmaking", and felt that the film retains a "strong respect for the fundamental message within Godzilla". Oricon Style praised directors Hideaki Anno and Shinji Higuchi for their realistic approach and the film's reality vs. idealism themes, calling it a "world class" Godzilla film. Cinema Today called the film a "thrilling experience" and a "masterpiece", feeling that the film was a return to form similar to 2004's Dawn of the Dead. Kazuo Ozaki from Eiga.com praised the film as well, stating, "Hollywood, even with all its money, can’t approach this kind of perfection" while Koichi Irikura from Cinema Today called it a "birth of a masterpiece that boldly announces the revival of a Japanese Godzilla". Brian Ashcraft from Kotaku felt the film was a "letdown", though he praised the film's special effects and social reflection of Japan, he criticized the film's depiction of the human characters, stating, "I wish the movie explored the relationships between the politicians and the researchers more instead of glossing over it" and concluded that "This isn’t one of the best Godzilla films ever made, but it's certainly not one of the worst by any stretch, either. Godzilla: Resurgence is a series of compelling ideas in a so-so Godzilla movie." Ollie Barder from Forbes was surprised at "how good" the film was, praising Anno's classic Gainax motifs, though he was not completely fond of Godzilla's new design; he felt that the "googly" eyes made Godzilla look silly but that the design was more "organic and menacing" than previous incarnations and praised the film's depiction of Godzilla, stating, "I really liked the way Godzilla is handled in this new movie, as it feels a lot more like the God Soldier short that both Anno and Higuchi worked on" and concluded by stating that he "really enjoyed" the film and that it had a "far more coherent plot" than 2014's Godzilla. Marcus Goh from Yahoo felt that the film was a better reimagining than 2014's Godzilla, though he criticized parts of Godzilla's design and the protagonists' plan to stop Godzilla. Goh gave the film a 3.1 score out of 5 and concluded that it "preserves the feel of Godzilla movies while updating it with modern responses." Jay Hawkinson from Bloody Disgusting called the film a "very good Godzilla movie that teeters on greatness". However, he felt the film's drama "didn't always work" and some of the English delivery felt "canned and often corny", particularly Satomi Ishihara's character who he thought was "convincing" at times but a "hard sell in her role". Hawkinson praised the film's battle scenes, Shiro Sagisu's score, and the film's homages to the franchise, and concluded that "Shin Godzilla may be a reboot sans the rubber suit we’ve grown to love but it's unquestionably Godzilla." Elizabeth Kerr from The Hollywood Reporter felt that Hideaki Anno and Shinji Higuchi did "the big guy justice", that they "created a Godzilla for this era". While she felt that "all the telling (or reading) rather than showing reduces the story's overall impact" Kerr concluded that "there's an intangible quality to this Godzilla that Edwards (Emmerich doesn’t count) never quite captured, and which is always welcome". Matt Schley from Otaku USA called the film "A match made in kaiju heaven", and praised Anno's directing: "It's also a reminder, after years in the Evangelion reboot woods, that Anno is one of Japan's most unique directorial voices in either animation or live-action filmmaking". Though he felt the special effects weren't as impressive as 2014's Godzilla, Schley stated that the film's CG "gets the job done, though there are a couple questionable shots" and concluded by stating that "Hideaki Anno has achieved a successful resurgence for both the Big G and himself." In July 2017, co-director Shinji Higuchi attended G-Fest XXIV and answered questions regarding sequels, stating, "A lot of people have questions. ‘When is the next Japanese Godzilla movie coming out?’ They cannot make it until after 2020". Higuchi noted that this was due to Toho's contract with Legendary Entertainment, which restricts Toho from releasing a live-action Godzilla film in the same year as Legendary's Godzilla film (two of Legendary's Godzilla sequels will be released in 2019 and 2020). Higuchi also noted Legendary's contract expires in 2020. Despite not producing a direct sequel to Shin Godzilla, Toho revealed plans to produce a trilogy of anime Godzilla films, beginning with Godzilla: Planet of the Monsters released in November 2017, Godzilla: City on the Edge of Battle released in May 2018, and Godzilla: The Planet Eater released in November 2018. In May 2018, Toho announced that there will not be a direct sequel to Shin Godzilla, but instead they will attempt to follow a shared universe model similar to the Marvel Cinematic Universe. ^ a b c d e "Godzilla Resurgence Press Notes". Scifi Japan. June 13, 2016. Retrieved June 13, 2016. ^ Griffin, Evan. "Movie Review: Shin Godzilla". The Young Folks. Retrieved October 23, 2016. ^ "Shin Godzilla (2016)". Box Office Mojo. Retrieved October 6, 2016. ^ a b "Shin Godzilla Press Release from Funimation Films". Scifi Japan. July 22, 2016. Retrieved July 22, 2016. ^ a b Ragone, August (November 12, 2015). "Shin Godzilla Promo Reel Screens At AFM! Official English Title: Godzilla Resurgence". The Good, the Bad, and Godzilla. Retrieved November 12, 2015. ^ Blair, Gavin J. (August 10, 2016). "Godzilla Resurgence: Five Things to Know About Toho's Monster Reboot". The Hollywood Reporter. Retrieved February 26, 2018. ^ Cranz, Alex (October 7, 2017). "Shin Godzilla Is a Wonderfully Over-the-Top Satire of Japan-US Relations". io9. Retrieved February 26, 2018. ^ a b c d Blair, Gavin J. (August 1, 2016). "Japan Box Office: Toho's 'Godzilla Resurgence' Opens With $6.1 Million". The Hollywood Reporter. Retrieved August 1, 2016. ^ a b Dominguez, Anne (August 31, 2016). "'Shin Godzilla' Receives Critical Acclaim, To Be Released On US Theaters In October". iTech Post. Retrieved October 18, 2016. ^ a b c Bellach, Robert (October 17, 2016). "'Shin Godzilla' Breaks $1 Million At US Box Office Despite Limited Release, Critics Give Mixed Reviews". The Inquisitr. Retrieved October 18, 2016. ^ a b Blair, Gavin J. (September 5, 2016). "Japan Box Office: 'Godzilla Resurgence' Becomes Biggest Live-Action Film of Year With $60M". The Hollywood Reporter. Retrieved September 7, 2016. ^ DeSentis, John (October 9, 2016). "Shin Godzilla New York Premiere Coverage and Review". Scifi Japan. Retrieved October 11, 2016. ^ a b c d e Ragone, August (April 13, 2016). "Toho's Upcoming "Shin Godzilla" Revealed – Images & Trailer from Godzilla Resurgence!". The Good, the Bad, and Godzilla. Retrieved April 13, 2016. ^ a b c Ragone, August (September 22, 2015). "Next Godzilla Now Entitled "Shin Godzilla" Toho Announces Three Principal Cast Members!". The Good, The Bad, and Godzilla. Retrieved September 24, 2015. ^ a b c Schilling, Mark (August 3, 2016). "'Shin Godzilla': The metaphorical monster returns". Japan Times. Retrieved October 8, 2016. ^ DeHart, Jonathan (June 6, 2016). "Godzilla Resurgence: Japan Reboots Its Most Iconic Monster". The Diplomat. Retrieved October 8, 2016. ^ a b Alt, Matt (May 14, 2016). "Godzilla Returns to Japan". The New Yorker. Retrieved May 16, 2016. ^ Rath, Robert (September 1, 2016). "Godzilla Resurgence is actually a biting political satire". Zam. Retrieved October 8, 2016. ^ Tsutsui, William (October 7, 2016). "Review: Shin Godzilla". Arkansas Online. Retrieved September 16, 2017. ^ a b Barder, Ollie (August 16, 2016). "'Godzilla Resurgence' Review: Surprisingly Good And Very Much Classic Gainax". Forbes. Retrieved August 16, 2016. ^ Fifield, Anna (September 23, 2016). "The new Godzilla film imagines a strong Japan pushing back against the U.S." The Washington Post. Retrieved November 21, 2017. ^ Blair, Gavin (December 7, 2014). "Japan's Toho to Produce New 'Godzilla' for 2016, First in 12 Years". The Hollywood Reporter. ^ Ragone, August (December 7, 2014). "The "Japanese Godzilla" Will Rise Again! Toho to Produce a New "Godzilla" in 2015". The Good, the Bad, & the Godzilla. ^ Frater, Patrick (March 31, 2015). "Hideaki Anno and Shinji Higuchi to Direct 'Godzilla 2016'". Variety. Retrieved March 31, 2015. ^ Ragone, August (March 31, 2015). ""Evangelion" Creator Helms New "Godzilla" – Hideaki Anno & Shinji Higuchi Revive the King!". The Good, The Bad, and Godzilla. Retrieved March 31, 2015. ^ "Evangelion's Hideaki Anno Is New Japanese Godzilla Film's Chief Director, Writer". Anime News Network. March 31, 2015. Retrieved March 31, 2015. ^ a b Ragone, August (April 1, 2015). "The Directors of Godzilla 2016 Speak". The Good, The Bad, & Godzilla. Retrieved April 1, 2015. ^ Ashcraft, Brian (August 4, 2016). "The Tallest Godzilla Of Them All". Kotaku. Retrieved March 16, 2018. ^ a b c Schilling, Mark (July 28, 2016). "Our favorite monster returns to terrorize Japan in Shin Godzilla". Japan Times. Retrieved July 29, 2016. ^ a b c Ragone, August (January 3, 2016). "Toho's New Godzilla Resurgence Exposed Private Photos Taken at Toho Studios Leaked!". The Good, the Bad, and Godzilla. Retrieved March 1, 2016. ^ Kageyama, Yuri (August 5, 2015). "AP Interview: Japan's 'Godzilla' Director Wants to Surprise". ABC News. AP. ^ Ashcraft, Brian (October 12, 2016). "How Japan Made a Digital Godzilla". Kotaku. Retrieved November 30, 2017. ^ Ragone, August (April 28, 2016). "Shin Godzilla Stationary Maquette No. 1 Model Displayed at Nico-Nico Super Conference". The Good, the bad, and Godzilla. Retrieved July 28, 2016. ^ "Godzilla 2016 Begins Production, Working Title Revealed". Scified.com. Archived from the original on September 2, 2015. Retrieved September 2, 2015. ^ Rigney, Todd (September 1, 2015). "New Japanese Godzilla Movie Filming This Weekend in Tokyo". Dread Central. Retrieved September 2, 2015. ^ "ゴジラ新作に長谷川博己、竹野内豊、石原さとみ タイトルは「シン・ゴジラ」" (in Japanese). Sports Nippon. Retrieved September 22, 2015. ^ "ゴジラ』新作に長谷川博己、竹野内豊、石原さとみ！タイトルは『シン・ゴジラ』に決定！" (in Japanese). Cinema Today. Retrieved September 22, 2015. ^ Komatsu, Mikikazu (September 23, 2015). "Toho Opens Official Website for 2016 "Shin Godzilla" Film". Crunchy Roll. Retrieved September 24, 2015. ^ "石原さとみ、こわくて辛かった...『ゴジラ』撮影終了を報告" (in Japanese). cinematoday.jp. November 1, 2015. Retrieved November 2, 2015. ^ "Shin-Godzilla Wraps Shooting, Begins FX Work". scified.com. November 1, 2015. Archived from the original on November 3, 2015. Retrieved November 2, 2015. ^ Romero, Anthony (August 8, 2016). "Shin Godzilla Music Collection". Toho Kingdom. Retrieved August 19, 2016. ^ "2016 Oricon Top 100 Albums". Generasia. Retrieved August 19, 2018. ^ "Theater List" (in Japanese). Toho. Retrieved July 27, 2016. ^ "Toho's Shin Godzilla International Sales Materials". Scifi Japan. July 26, 2016. Retrieved July 27, 2016. ^ "Shin Godzilla World Premiere!". scified.com. Retrieved July 26, 2016. ^ Toscano, Tony (April 13, 2016). "Godzilla Is Back In 'Godzilla: Resurgence' – Check Out the New Trailer". Gephardt Daily. Retrieved April 20, 2016. ^ "New World Cinemas Lied About Distributing Godzilla Resurgence?". Scified. June 6, 2016. Retrieved June 6, 2016. ^ Ragone, August (July 19, 2016). "Godzilla Resurgence To Hit 100 Countries Toho's Greatest Global Distribution of All Time". The Good, the Bad, and Godzilla. Retrieved July 19, 2016. ^ Aiken, Keith (July 21, 2016). "Exclusive! Funimation Licenses Godzilla Resurgence". Scifi Japan. Retrieved July 21, 2016. ^ Godswill (September 2, 2016). "Shin Godzilla Stomps Across North America This October". Funimation. Retrieved September 2, 2016. ^ "Shin Godzilla Extends Run with Encore Saturday Matinee and Screenings in Select Cities thru October 27". Scifi Japan. October 18, 2016. Retrieved October 18, 2016. ^ Cinema, The Electric (March 23, 2017). "That's because the UK distributor Altitude have dropped it, and Toho aren't allowing any UK screenings at the mo". Retrieved July 26, 2017. ^ "Past, present and future releases to Past, Present and Future Releases - UK Recent and Upcoming Movie". www.launchingfilms.com. Retrieved July 26, 2017. ^ "Shin Godzilla". shingodzillamovie.co.uk. Retrieved July 26, 2017. ^ Ragone, August (December 9, 2015). "Scoop! Teaser for "Godzilla Resurgence" – Japan's Cinema Today Posts First Teaser Trailer!". The Good, the Bad, and Godzilla. Retrieved December 9, 2015. ^ Ragone, August (December 9, 2015). "Here's Your Big G in "Godzilla Resurgence" Image Reveals the "Greatest, Worst Nightmare"!". The Good, the Bad, and Godzilla. Retrieved December 9, 2015. ^ "The largest ever of 118.5 meters "Shin Godzilla" visual debuted" (in Japanese). Chunichi Sports. Archived from the original on December 10, 2015. Retrieved December 10, 2015. ^ "Legendary - Godzilla Facts". Legendary. Retrieved December 26, 2016. ^ Alexander, Chris (January 3, 2016). "New Godzilla Resurgence – Pics Leaked!". Shock Till You Drop. Retrieved March 1, 2016. ^ Ashcraft, Brian (April 1, 2016). "And Now, Godzilla Versus Evangelion". Kotaku. Retrieved April 10, 2016. ^ "Godzilla and his monstrous co-stars become desserts in Tokyo's Ikebukuro neighborhood". Rocket News 24. Retrieved July 28, 2016. ^ McGee, Oona. "Reebok releases limited edition Instapump Fury Road sneakers to celebrate upcoming Godzilla movie". Rocket News 24. Retrieved July 29, 2016. ^ "Universal Studios Japan announces new Godzilla 4-D attraction". January 3, 2017. Retrieved July 26, 2017. ^ "Shin Godzilla Blu-ray Hits Japan in Early Spring, Pre-Order Pulled". Scified. December 1, 2016. Retrieved December 3, 2016. ^ "東宝の３～８月、純利益38％増　ヒット映画多く". The Nikkei (in Japanese). October 16, 2017. ^ "【オリコン】『シン・ゴジラ』、邦画BD史上初の累積10万枚突破". Oricon News (in Japanese). June 14, 2017. ^ "Shin Godzilla Is 1st Japanese Film to Take Top 2 Spots on Weekly Blu-ray Disc Chart". Anime News Network. March 30, 2017. ^ Godswill (May 15, 2017). "Shin Godzilla Comes To Blu-ray in August". Funimation Blog. Retrieved May 20, 2017. ^ "Shin Godjira (2016) - Video Sales". The Numbers. Retrieved August 27, 2018. ^ "MangaUK Clarifies Shin Godzilla Release; Includes Both English & Japanese Audio Tracks". AnimeBlurayUK. Retrieved February 5, 2018. ^ a b Schilling, Mark (August 2, 2016). "Japan Box Office: 'Shin Godzilla' Wins Weekend". Variety. Retrieved August 3, 2016. ^ Schilling, Mark (August 8, 2016). "Japan Box Office: 'Shin Godzilla' Roars to Second Weekend Win". Variety. Retrieved August 8, 2016. ^ Schilling, Mark (August 15, 2016). "Japan Box Office: 'Pets' Goes Top as 'Shin Godzilla' Breaks Record". Variety. Retrieved August 16, 2016. ^ "Shin Godzilla Film Earns 5.3 Billion Yen, Surpasses Evangelion 3.0's Gross". Anime News Network. August 29, 2016. Retrieved August 29, 2016. ^ Schilling, Mark (September 26, 2016). "Japan Box Office: 'Your Name,' 'Shin Godzilla' Chase Records". Variety. Retrieved September 26, 2016. ^ "Japan Yearly Box-Office 2016". Boxofficemojo.com. October 31, 2016. Retrieved October 31, 2016. ^ "'Shin Godzilla' Daily boxoffice". Boxofficemojo.com. October 31, 2016. Retrieved October 31, 2016. ^ "Shin Godzilla International Exclusive: Information and High-Res Photos from CatchPlay (Taiwan)". Scifi Japan. August 27, 2016. Retrieved August 28, 2016. ^ "'Shin Godzilla' foreign gross". boxofficemojo.com. IMDB.com. Retrieved December 10, 2018. ^ "'Shin Godzilla' Foreign Gross". Boxofficemojo.com. October 31, 2016. Retrieved October 31, 2016. ^ a b c D.B., Jon (July 26, 2016). "The First Japanese Reviews For Shin Gojira Are In: Hailed As A Masterpiece". Skreeonk. Retrieved July 27, 2016. ^ "Godzilla Resurgence (Shin Godzilla) (2016)". Rotten Tomatoes. Fandango Media. Retrieved April 7, 2018. ^ "Shin Godzilla (Godzilla Resurgence) Reviews". Metacritic. CBS Interactive. Retrieved April 21, 2018. ^ Ashcraft, Brian (July 29, 2016). "Godzilla Resurgence Talks Too Much". Kotaku. Retrieved July 29, 2016. ^ Goh, Marcus (August 21, 2016). "Review: Shin Godzilla" is amazingly cathartic". Yahoo. Retrieved August 22, 2016. ^ Hawkinson, Jay (August 8, 2016). "[Review] 'Godzilla: Resurgence' ('Shin Godzilla') Lights Up Tokyo in 4-D". Bloody Disgusting. Retrieved August 22, 2016. ^ Kerr, Elizabeth (August 26, 2016). "'Godzilla Resurgence' ('Shin Gojira'): Film Review". The Hollywood Reporter. Retrieved August 26, 2016. ^ Schley, Matt (August 1, 2016). "Godzilla Resurgence a Rebirth for Both Godzilla and Hideaki Anno". Otaku USA. Retrieved September 2, 2016. ^ Blair, Gavin J. (March 3, 2017). "'Godzilla Resurgence' Wins Big at 40th Japan Academy Prize Awards". Hollywood Reporter. Retrieved March 4, 2017. ^ Schley, Matt (January 11, 2017). "In This Corner of the World, Shin Godzilla Top Major Magazine's 2016 List". Otaku USA. Retrieved January 15, 2017. ^ Komatsu, Mikikazu (January 26, 2017). "Blue Ribbon Awards Crowns "Shin Godzilla" Best Japanese Film of 2016". Crunchyroll. Retrieved January 28, 2017. ^ "第38回ヨコハマ映画祭". Yokohama Film Festival (in Japanese). Retrieved January 4, 2017. ^ "毎日映画コンクールで「シン・ゴジラ」が大賞ほか3冠獲得,「君の名は。」は2冠". Natalie. Retrieved January 18, 2017. ^ "11th Asian Film Awards – Nominees 2017". Asian Film Festivals. Retrieved January 17, 2017. ^ Squires, John (July 18, 2017). "'Shin Godzilla' Sequel Cannot Be Made Until After 2020". Bloody Disgusting. Retrieved July 18, 2017. ^ "G-Fest XXIV Shinji Higuchi interview part 2". Retrieved November 17, 2017. ^ "Godzilla Anime Is Film Trilogy Starring Mamoru Miyano - News". Anime News Network. March 21, 2017. Retrieved March 27, 2017. ^ "Godzilla: Planet of the Monsters Press Notes from Toho". SciFi Japan. July 30, 2017. Retrieved July 30, 2017. ^ "Godzilla: City on the Edge of Battle Press Notes From Toho". SciFi Japan. Retrieved April 28, 2018. ^ Stephens, David (May 20, 2018). "Toho Planning Godzilla Cinematic Universe, Shin Godzilla 2 Canceled". Screen Rant. Retrieved May 20, 2018.